Julie Bishop, former Minister for Foreign Affairs from 2013 to 2018, says she was surprised when no West Australian federal MPs voted for her in last week's Liberal leadership ballot. Bishop also claims that during her time as the foreign minister she experienced "unbelievable conflict" within the Liberal party. 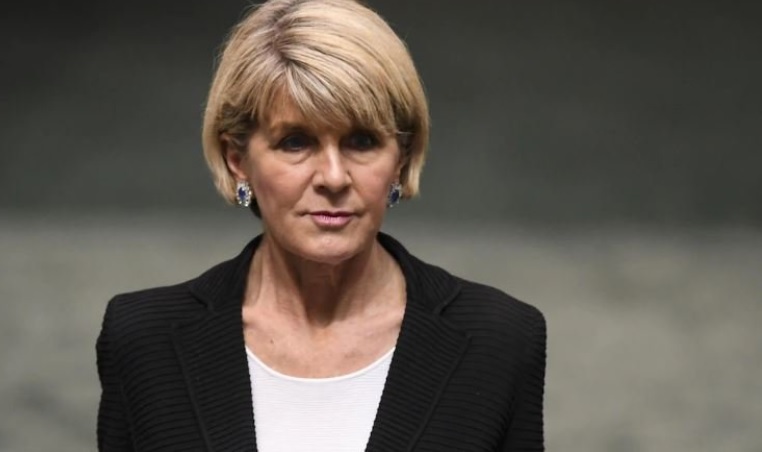 Bishop disclosed the details while explaining her decision to quit as foreign minister but did not deny being told she wasn't welcome in Scott Morrison's new cabinet. "I just felt it was best I not be part of that cabinet," Bishop told Post Newspapers in Perth. The 62-year-old former foreign minister would not say whether her position was offered to someone else in exchange for a vote but the idea seems to fall in line with her surprise at not receiving any support in last week's Liberal leadership ballot. "I’m sure someone else could say," Bishop said. She then added that she got caught up in an "unbelievable conflict between the left and the right of my party." Although Bishop was surprised that none of the other 11 federal MPs from WA voted for her on August 24, she will remain in parliament as the member for the Perth seat of Curtin after being knocked out of the first round of voting. Two days after the vote, she left her job as the foreign minister which she held for five years. She was also the Liberals' deputy for over a decade. "It surprised me," Bishop said. "I always believed West Australians had a responsibility to look out for the interests of this state. There certainly is a Queensland influence, no question." She went on to say that she believed she had the experience for the job and the ability to put together a good team, but she will now focus on her campaign for Curtin at the 2019 election. Another resignation went through this month as Malcolm Turnbull terminated his 14-year career as a federal member. Turnbull first entered parliament in 2004 and confirmed Friday in writing to House of Representatives speaker Tony Smith he will resign from the New South Wales seat of Wentworth.